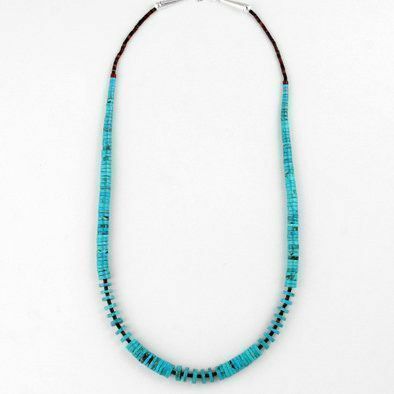 This one of a kind necklace features hand-crafted heishi beads and was hand-selected by us. 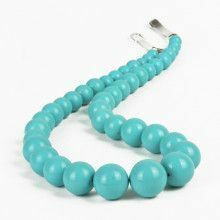 The beads graduate from 1/8" in diameter tp 1/2". 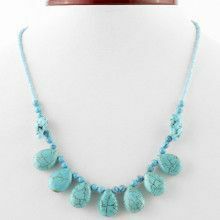 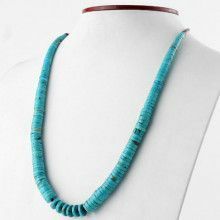 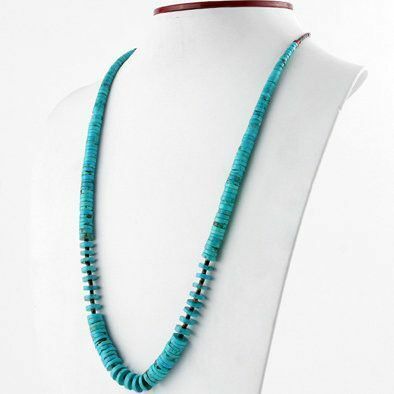 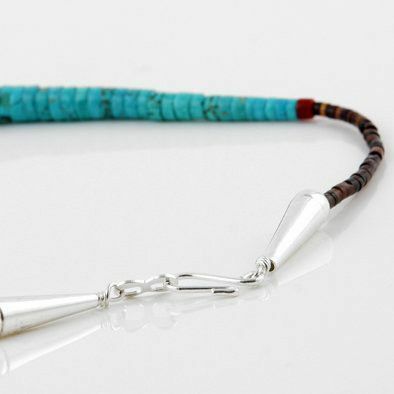 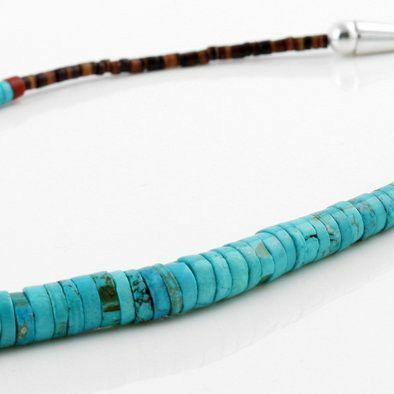 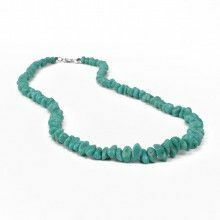 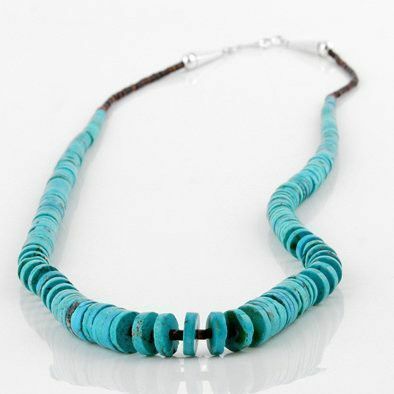 The necklace features all natural turquoise and measures 27" in length.